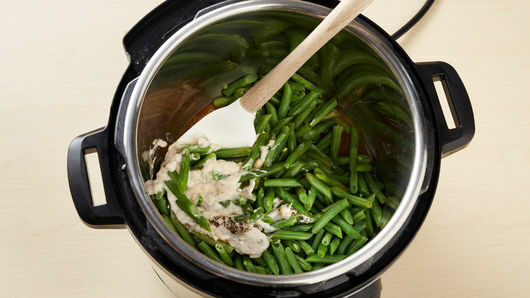 In 6-quart Instant Pot™ insert, add chicken broth and green beans. Secure lid; set pressure valve to SEALING. Select MANUAL; cook on high pressure 1 minute. Select CANCEL. Set pressure valve to VENTING to quick-release pressure. Select SAUTE; adjust to LESS. Stir in soup, soy sauce and pepper; cook 3 to 5 minutes, stirring occasionally, until heated through. 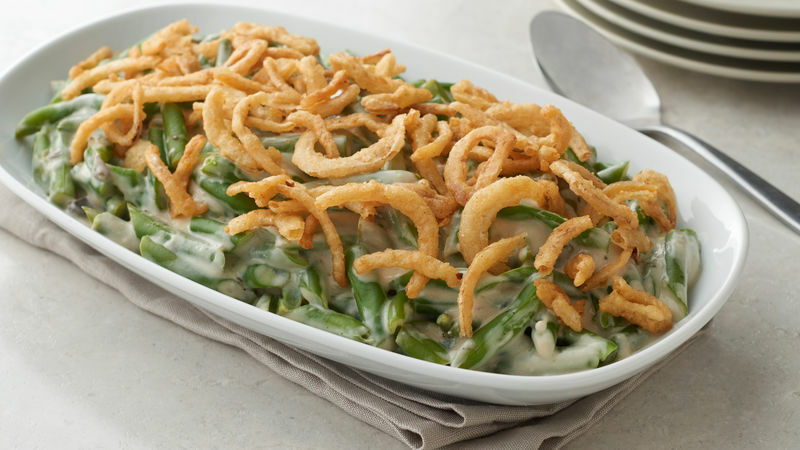 Transfer to serving dish, and top with onions before serving. Stir in 1/2 cup chopped cooked bacon to add smoky, savory flavor. 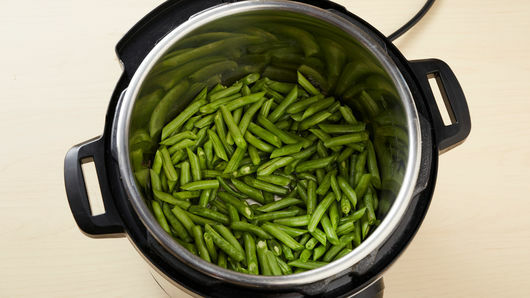 To make ahead: Be sure to consult your Instant Pot™ user manual for details on the warming feature for your specific model. We recommend holding on WARM for no longer than 30 minutes for best results.